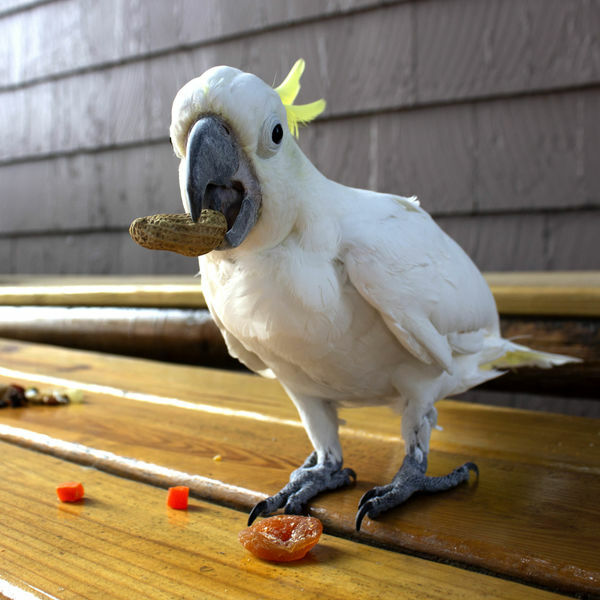 Bright, colorful blend of tropical fruit, nuts, and veggies for a natural tasty bird treat. 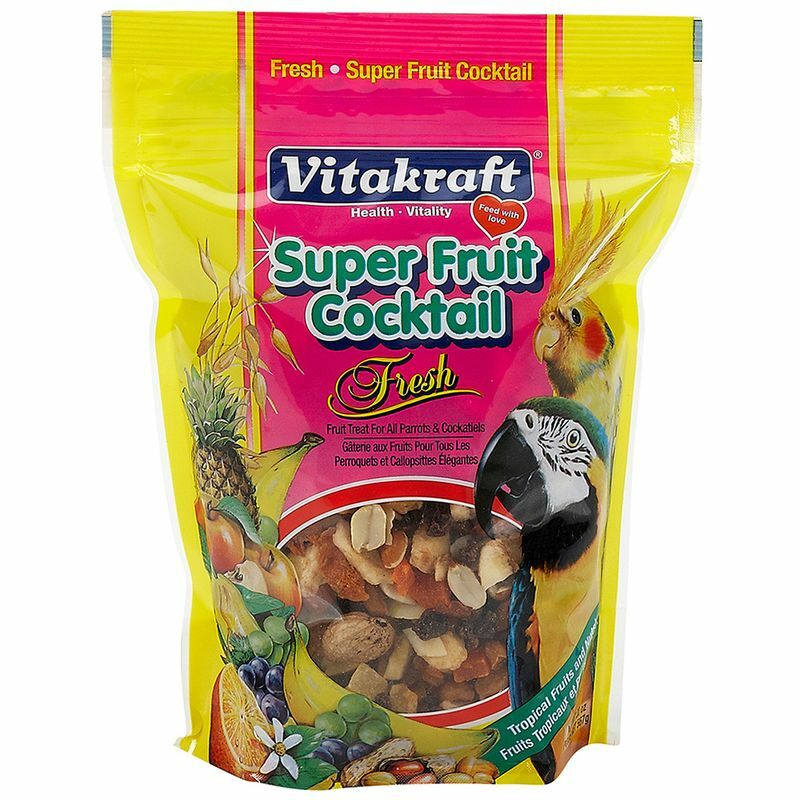 Vitakraft Super Fruit Cocktail is an easy way to supplement bird companions' regular daily diet with natural fruit and veggie nutrients. 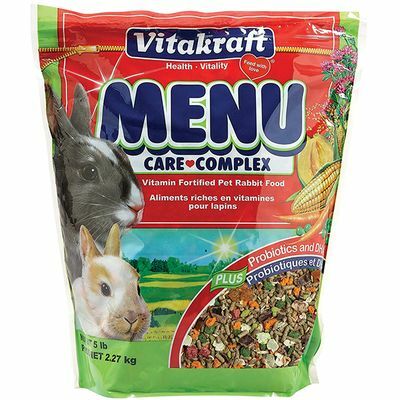 Includes tasty, wholesome ingredients like shelled peanuts, banana, pineapple, and carrot. 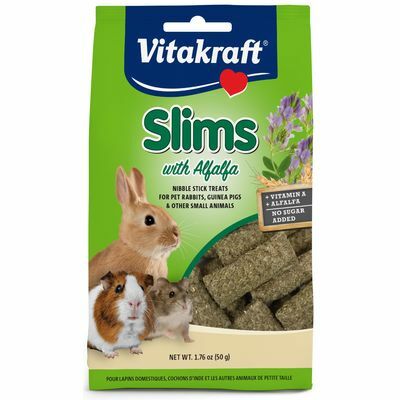 Add Super Fruit Cocktail to your bird's regular food or serve in a separate dish. Fresh, clean water should be available at all times. Store sealed in a cool, dry place. 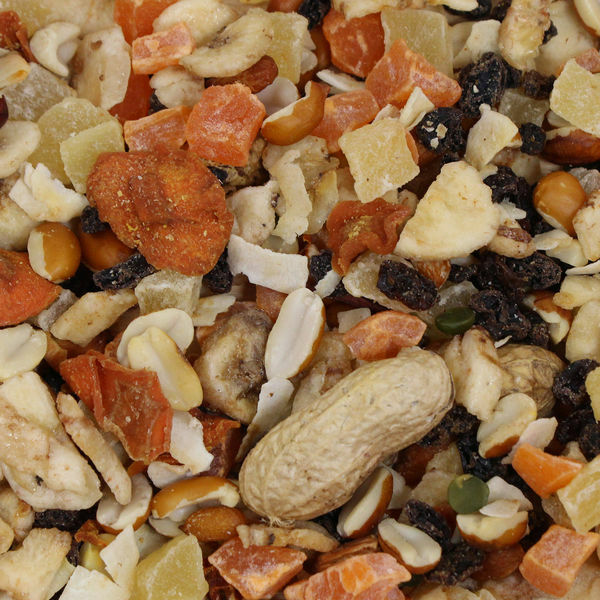 Peanuts, Dehydrated Banana, Dehydrated Pineapple, Dehydrated Papaya, Raisins, Whole Peanuts, Dehydrated Coconut, Dried Green Split Peas, Dehydrated Carrots, Dried Red Peppers, Orange Oil Extract.